Dental implant is inarguably the best option for replacing tooth. Nevertheless, many people today still believe several misinterpretations surrounding it. Here are such myths regarding dental implants, which are nothing but bogus. Truth: Most patients who had undergone the procedure state that they experience little to no pain. It is true that patients feel mild discomfort and pain after surgery. Surgeons will provide local anaesthesia before proceeding with the treatment. Truth: While the prices sound to be very expensive relative to other tooth replacement options, they turn out to be reasonable due to its high durability, ease of usage and comfort that it instils to the users. Truth: While patients are asked to temporarily stop consumption of alcohol or usage of tobacco after treatment, they are never disqualified in receiving dental implants. Due to its high success rate, almost everyone can opt for implant procedures. Truth: Implants might be artificial teeth, but that doesn’t mean that they don’t have to be maintained. Just as with normal teeth, proper dental hygiene is to be followed with implants to protect surrounding teeth from infections. Truth: Dental implants aren’t subject to age limit. As long as the patients are in good health, they can receive dental implants without fail. It’s high time you keep away from these misconceptions about dental implants. 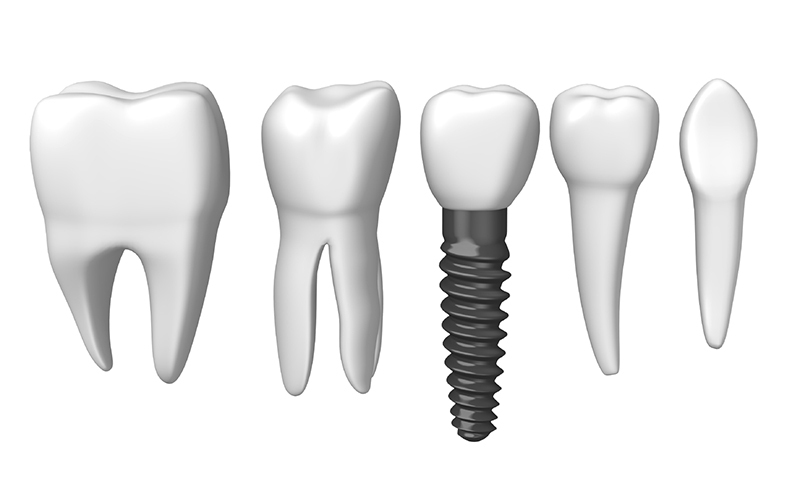 If you’re thinking of tooth replacements, dental implant is definitely the go-to option for you!